“What to speak of falling from Vaikuntha, you can’t even fall from sadhana!”. Hmm… I didn’t find that in his commentary on BG. I would love to hear more of that you can’t fall from sadhana. You can stand still, you can go slow, you can go off the course, you can go roundabout paths, but you can never go back. When you appear to go down, it’s because you’re on one of the foothill downslopes but still going in the direction of the mountaintop. Sometimes words are insufficient to describe the beauty of a conversation, this was beautiful. 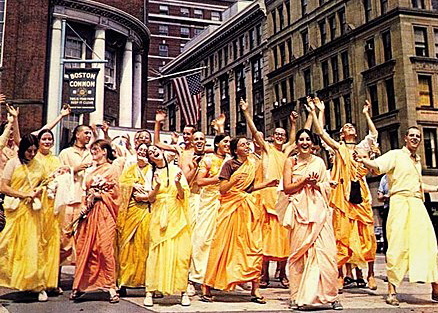 It also explains Srila Prabhupada words, which is rather strict. That those words were neccessary back then, but these days we can go even further.